When you want new floors, but you’re on a tight budget, you might assume that hardwood is not on your list of options being that it is a higher-end material. But the truth is, hardwood flooring remodels can be affordable; so long as you choose the right product and the right contractor. Continue reading to learn some of the most affordable, top-recommended hardwood flooring, as well as, where to get the best price on installation. When shopping around for hardwood flooring, be sure to review each product’s grade and Janka hardness rating. Grade denotes the quality of the wood itself. It indicates the degree of certain aesthetic defects, like holes, knots, cankers, color variation, and more. The lower the grade, the more imperfect, while the higher the grade, the higher the quality. Janka hardness rating measures strength and durability. Below you will find some great options that offer quality at a cheaper price point. Hardwood floor installation is an intelligent investment that can both increase your property value and instantly boost your interior appeal. When this time comes, be sure you choose a licensed general contractor who specializes in hardwood flooring. They will have the proper training and resources needed to provide professional guidance, qualified service, and outstanding results. 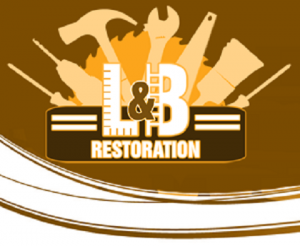 Call Restoration By L & B, LLC at 317-454-3612 for professional and affordable wood floor installation in Indianapolis, Indiana. We offer a wide range of residential and commercial flooring services, including floor replacement, installation, repair, procurement, and much more. Contact us today at 317-454-3612 to request an estimate. This entry was posted in Flooring Repair and Installation and tagged best hardwood floors, cheap hardwood floors, cheapest wood floors, hardwood floor installation Indianapolis, Janka hardness rating. Bookmark the permalink.